It was another dull grey day for my Sunday morning photo shoot in dad's garden this week, and it was getting harder to identify decent subjects as Winter approached. 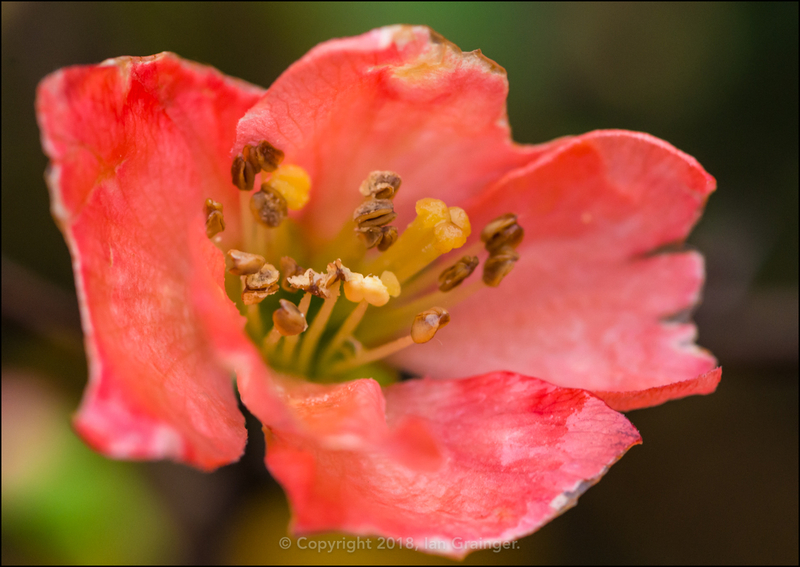 However, this Quince (Chaenomeles) bush was offering up a bit of colour as it had began to blossom again. This was quite surprising to me as just a few short weeks ago it had shed its fruit, and was already on the way to making more! 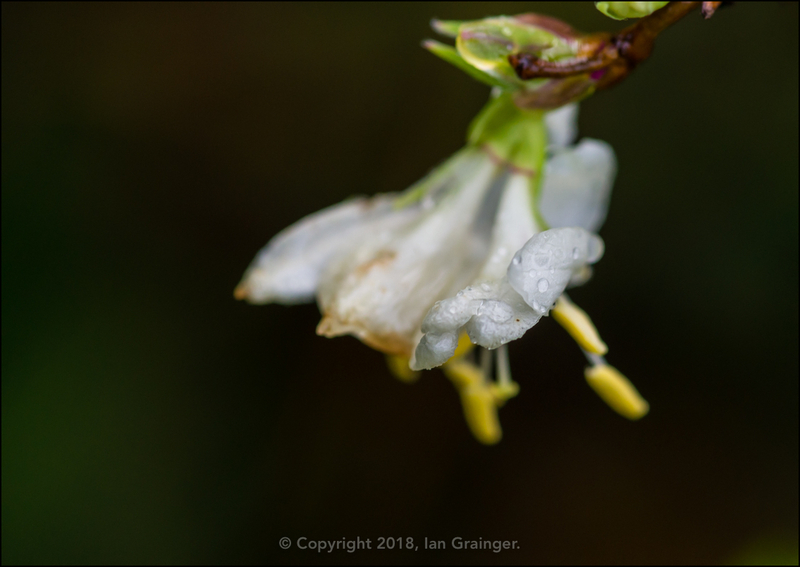 This week also saw a welcome return of the Winter Honeysuckle (Lonicera fragrantissima) blooms. There weren't enough of them to get the whole fragrant experience of the shrub, but it wouldn't be long before that corner of the garden smelled wonderful. 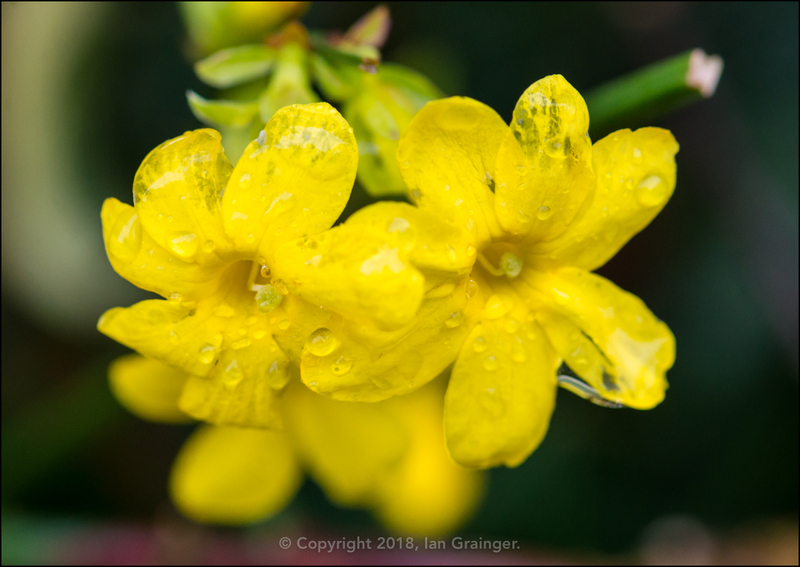 The Winter Jasmine (Jasminum nudiflorum) bushes continued to display lots of new blooms, all showing in little clusters like this. 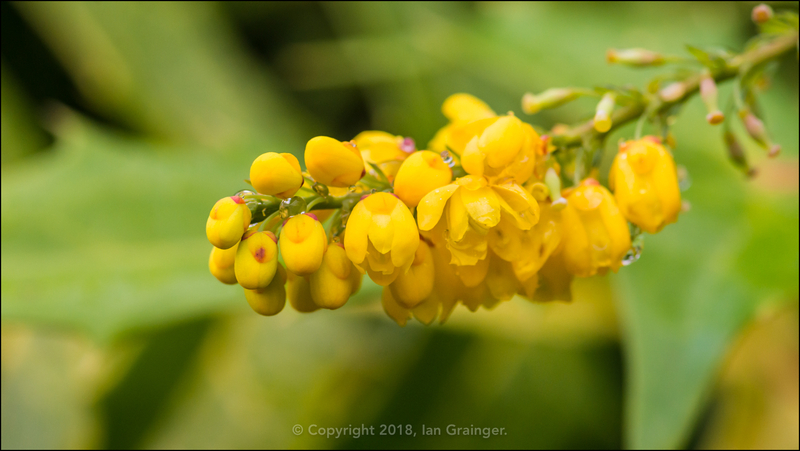 We'd had very strong winds in the last week or so, and the Mahonia (Mahonia japonica) blossom had suffered. The blossom usually lasted until well into the new year, but the gusting winds meant that most of the flowers now adorned the lawn. This was one of only a few branches remaining that contained flowers. 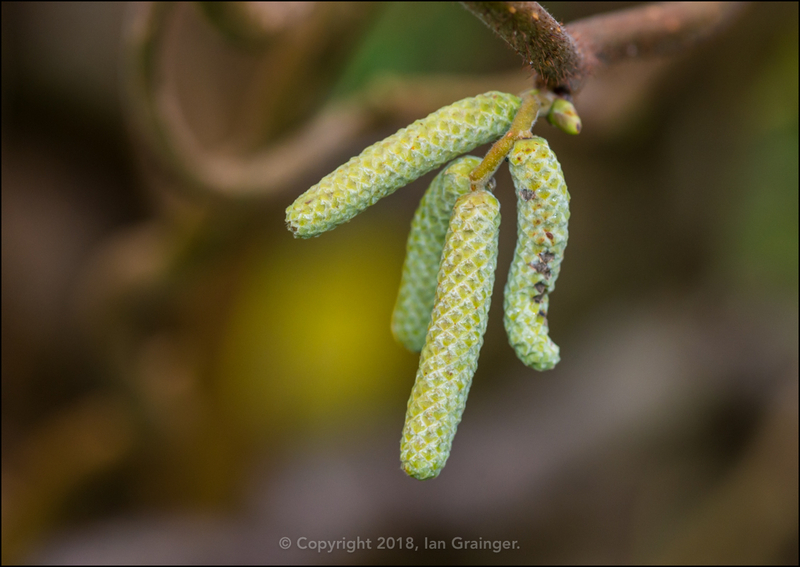 The Twisted Hazel (Corylus avellana Contorta) tree catkins continued to grow apace, and looked like they were on course to open up and release their pollen sometime in Springtime. 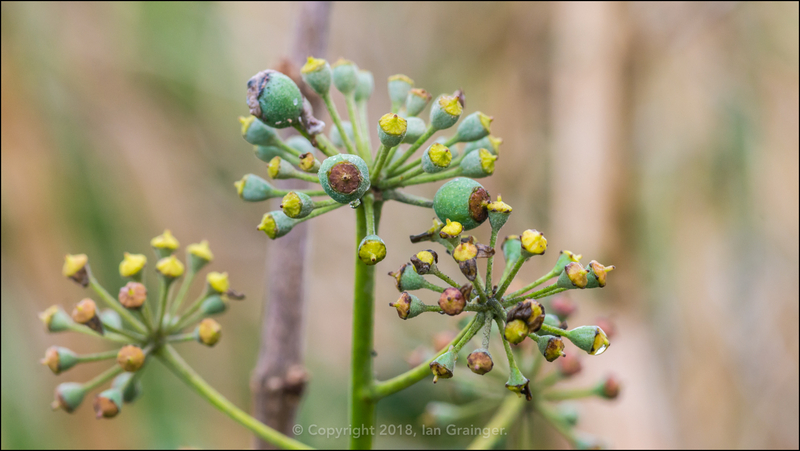 The Common Ivy (Hedera helix) berries, however, seemed to be taking forever to develop, and I wondered if all was well with this particular plant. 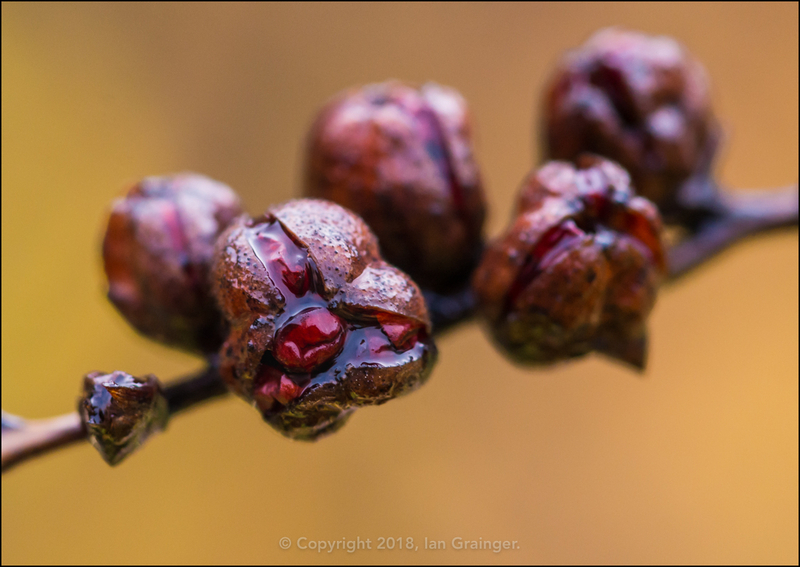 Surprisingly, the Crocosmia seed pods were still hanging onto their seeds. Last year I collected the seed but this year I wanted to let it fall, to see if more plants would grow naturally. 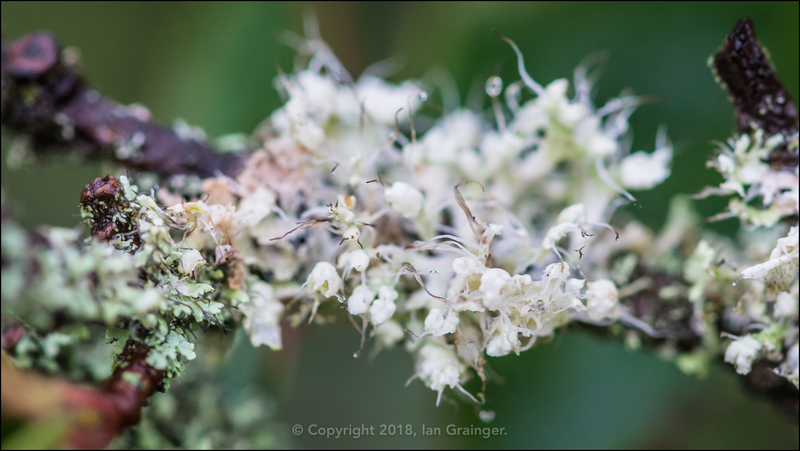 There was quite a lot of Lichen inhabiting the branches of one of the Viburnum bushes. The bush was actually looking a bit sorry for itself, although this wasn't the fault of the Lichen, but rather an infestation of Fly or Beetle larvae that had stripped the bush of leaves in the Summer months. 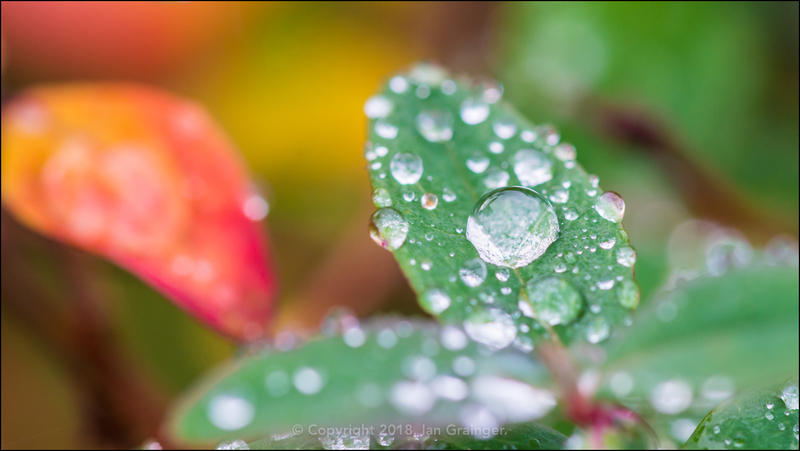 I couldn't complete my garden tour without a couple of gratuitous raindrops on leaves photos, so here they are. 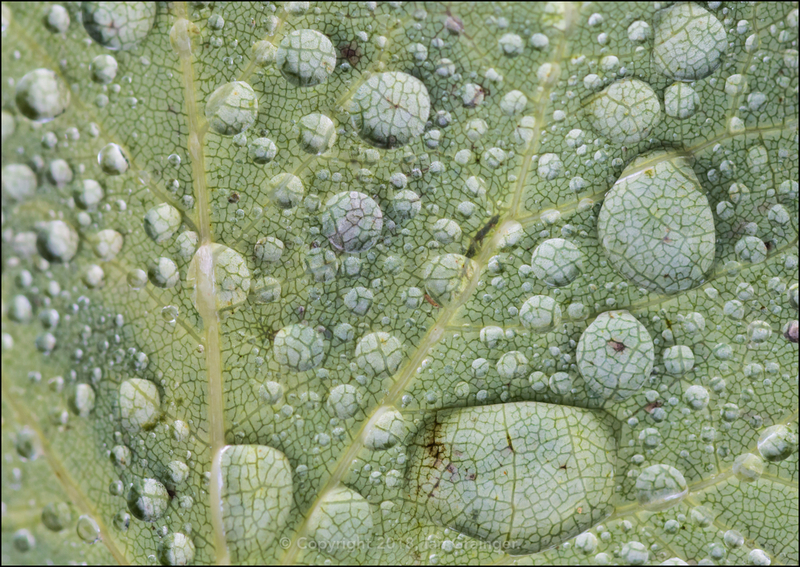 I loved the way the raindrops were magnifying the vein structure of this Twisted Hazel tree leaf. I simply thought the combination of the the green raindrop covered leaves and the Autumnal looking golden leaves was quite pleasing. Finally my fishy friends. 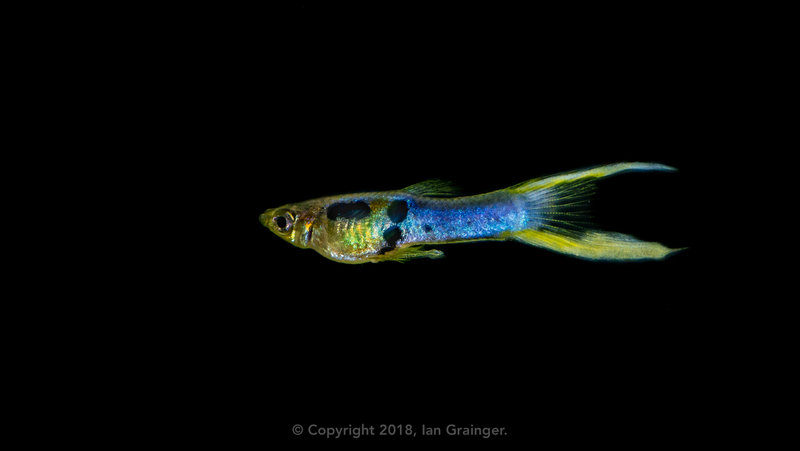 Here's a shot I took of Elvis the Endler (Poecilia wingei) in October. I have to say that it's probably the best shot I've taken of him so far. He's so tricky to capture, mainly because he never stops moving, and he's less than 2cm in length. Needless to say I was very pleased when this shot turned up on the back of the camera!